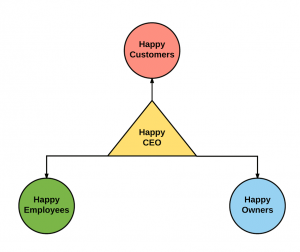 People make up the company: Every part of a management company involves people. Whether it is the ownership, the room attendant at the hotel, the chef in the kitchen, or the accountant in the office; the people determines our performance. At Friendwell, we structure our organization to the fundamental level. Each customer is important and every member of the team has essential contributions to our success. We build our management to provide the necessary tools for everyone to be responsible for their performance and excel at their tasks. We are in the hospitality industry: From the CEO to the customer-facing employees, we are aware and proud of the fact that we are in the hospitality industry. The passion for the business is shared and constantly in practice by every staff alike. This cultures breeds and establishes Friendwell’s remarkable customer service. Information leads to improvements: Friendwell takes pride in an exceptional Management Information System that provides management with the data needed to optimize our performance. Revenue analysis, labor analysis, breaking-down guest satisfaction trends, staff’s problem resolutions pattern, sales team’s activity journals; Friendwell is able to make use of every bit of data to continue improving ourselves. The business environment is always changing: Mobile check-in, ERP portal, tablet inspections, mobile communications; Friendwell’s strategy department works with our self-hosted IT department to stay ahead of the trend in the constantly changing business environment. Taking advantage of the best available resources allows our business to be more efficient and effective than the others. Profits are important: At the end of the day, generating profits is the common goal shared by everyone in this organization. This principle help tie every management philosophy together and lead the team to a precise end result.